Conwest and the Western Institute for the Deaf and Hard of Hearing (WIDHH) have come together to design, develop and build a modern new Centre of Excellence for WIDHH’s ongoing operations. This new facility will support the charity’s programs and services in the amenity-rich and transit-central neighbourhood of Mount Pleasant. 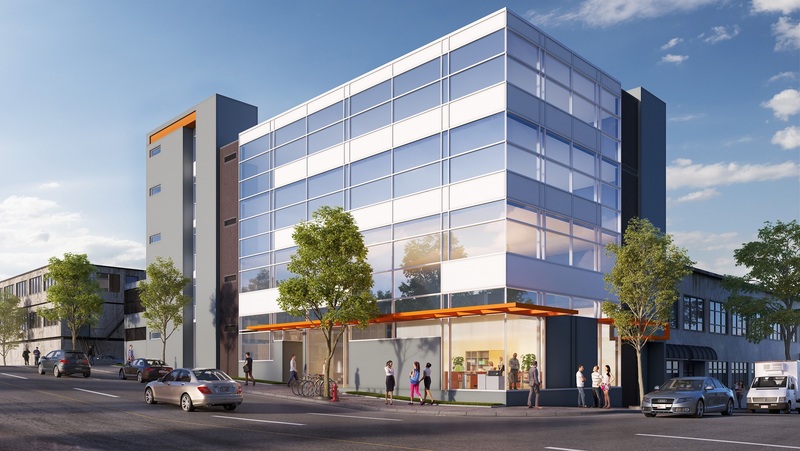 Through an extensive and collaborative design process, this new Centre of Excellence is specifically tailored to meet the needs of WIDHH and that of the Deaf and Hard of Hearing individuals of British Columbia. Moving to this new building will allow WIDHH to continue to provide their vital support programs and services to those in our community. With increasing demand for these services, this new Centre of Excellence enables WIDHH to further develop and expand their programs while keeping up to date with technological advancements within the fields of audiology and communications. The Western Institute for the Deaf & Hard of Hearing is a charitable organization that supports individuals dealing with exclusion in the workforce, in education, and in public life due to communication barriers. WIDHH’s mission is to create a society in which people who are deaf and hard of hearing are able to fully participate.